NFSA Southeast Reginal Manager Brian Biggs met with Local, State and Alabama Fire College Officials on Wednesday January 16, 2019. NFSA is working with Local, State and Alabama Fire College to come up with a Fire Sprinkler Installation Class to be taught in the State of Alabama. It’s in the beginning stages and NFSA is excited to work with these folks to get this training class rolled out in 2019. 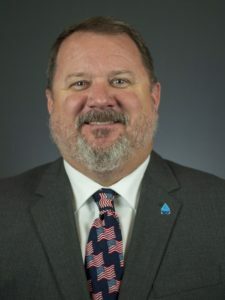 NFSA Southeast Regional Coordinator Brian Biggs has experience in all aspects of fire department operations, community risk reduction, budgeting, performance measurement, HR processes, training and fire prevention and code enforcement. Brian has a vast amount of association experience from the local to the state level. He has traveled extensively with Fire Team USA and has also assisted at NFSA Board of Directors Meetings and E&S meetings.